Mark Miller Subaru is a licensed provider of Subaru OEM and aftermarket Accessories to Salt Lake City and the surrounding areas. Our expert Subaru staff are here to assist in ordering and making sure you get exactly what you want. Stop by during our convenient dealership hours or call us to make an appointment at our Salt Lake City Subaru dealership. 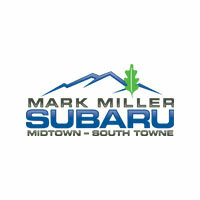 Mark Miller Subaru offers a state-of-the-art service facility and comfortable waiting area. You can also order accessories directly from the links below! Mark Miller Subaru is proud to be serving Salt Lake City, Provo, Murray and Sandy Utah.